Are you looking for a cycling event to take part in which is coming up as soon as possible? Then, make sure you sign up for the Wiggle Forest Ranger Sportive. You’ll be able to take part in this on Sunday 22nd October 2017- so sign up as soon as possible as the event is very soon! Right now, the Epic option is 83 miles and 3562 ft. This is for the incredible price of just £30 and takes place at the Uttoxeter Racecourse. The full address is Wood Lane, Uttoxeter, Staffordshire, ST14 8BD. The second option is 64 miles and 2762 ft. The price of this is also the same as the Epic option at just £30. Which would you choose? Are you up for the challenge of the Epic? If not, the standard is a great way to make sure you push yourself, without the added discomfort of the Epic and better yet, it’s the same price! So you can really make the best choice for yourself. Not up for that? Why not choose the Short option of 44 miles and 2244 ft. This is only £4 cheaper at £26. However, you can save yourself some money as on the day, you’ll expect to pay £31 – why not book now and make sure you’re at the event? Cycling is a great way to improve your fitness and this can challenge you, without being as strenuous as the Epic or Standard options. However, it’s still a great Sunday day out! Finally, the last pricing option is for under 16s. Are you taking the kids for a day out? If so, choose this option. It’s the only free choice and it’s a great way to get your kids cycling with you! What better way to encourage them to cycle and be sporty while they’re young? On this ride, you’ll be able to admire the rolling British countryside and certainly won’t miss out on the stunning, scenic cycle no matter which of the rides you choose to take. Cycling through East Staffordshire and Leicestershire with your friends is a great way to spend a Sunday – can you think of anything better? There are also many facilities available for you, so as soon as you’re finished, you can grab yourself a cup of tea, or something stronger, and chat to those of the Birmingham Cycling Club and many other British cycling clubs in the area. However, depending on which route you have chosen, make sure you closely follow the signs so you do not get lost. While cycling with others, you could very easily find yourself on the wrong path – if you’re in the short distance group, you certainly don’t want to accidentally be pulled along with the Epic riders! Unless you feel like you could handle the speed. A good idea is to head over to the website first to find out about the ride before it happens, this way you can attempt to remember some of your route and make sure you stay on the right path. 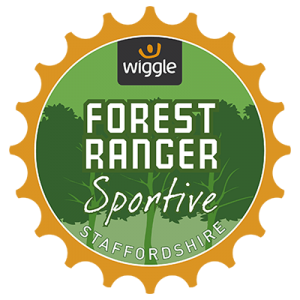 The Wiggle Forest Ranger Sportive is the best way to cycle and explore the National Forest, we’re certainly looking forward to the challenge – are you coming along too? If you’re worried about getting hurt – there is a medical team on hand. As well as this there are also mechanics who are able to help you out too. So don’t worry and get booking your tickets now. Head over to the website.